This post contains affiliate links which means I make a small commission from purchases made from the links that I provide. Thank you for supporting Creatively Lauren. Stock photos are key to adding good photography to your website when you’re not good at taking photos yourself. Now, there are two types of stock photos, free and paid. When I started my blog, I used free stock photos, and I did up until this year. Now, even though I started to transition to a paid stock photo plan, that doesn’t mean I don’t think free photos are good. The only thing is since free stock photos are freely available, more people will be using them. That means that you’re more likely to see that same photo around on Pinterest than if you used a photo from a paid plan. 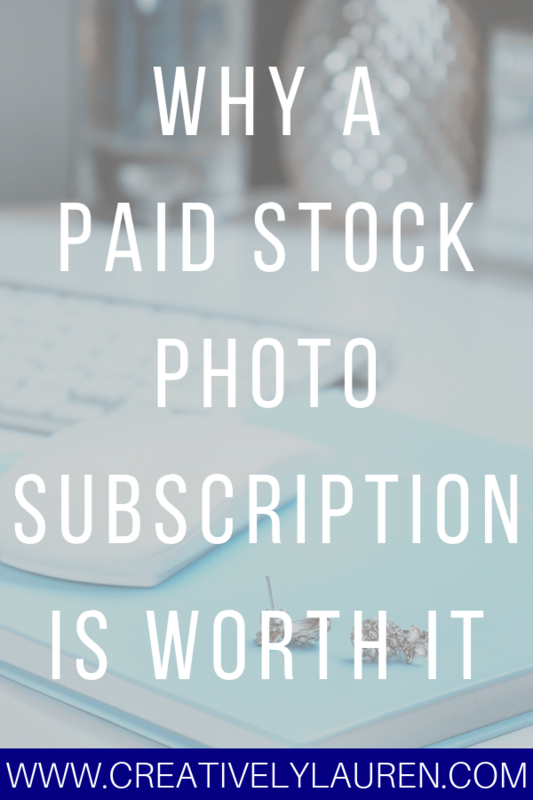 Earlier this year, I finally jumped in and decided to buy a stock photo subscription. Now, this wasn’t an easy decision to make for me. I usually just use free stock photos, especially the ones that are on Canva. Unfortunately, now that Canva has become so popular, so many bloggers are now using Canva and their free photos. 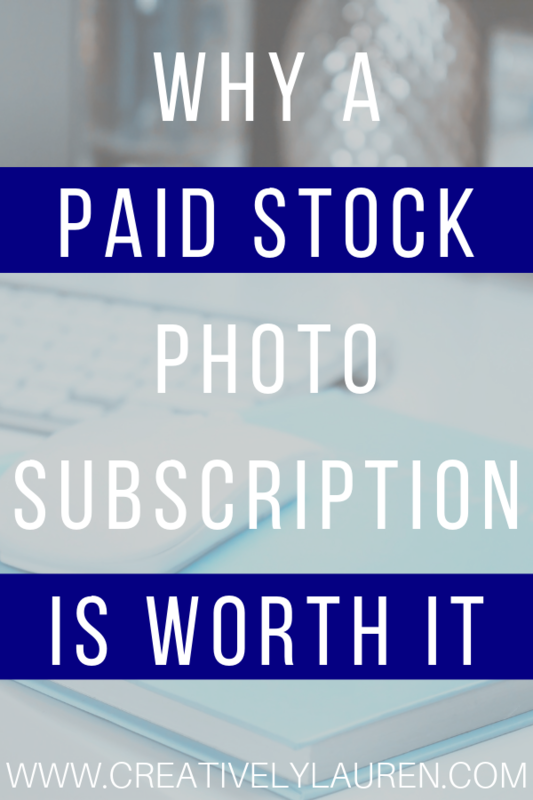 Why pay for a stock photo subscription? Now, there are free stock photo sites and there’s nothing wrong with those. However, after a while, you can’t find any good styled stock photos that match your theme/brand. There are stock photos and there are styled stock photos. Free sites usually have darker and more realistic photos. Whereas styled stock photos are bright and branded and are much more geared for blogging. Free sites aren’t necessarily geared towards bloggers. Another downside to free photo sites is that so many bloggers use those sites and photos. The reason that this is negative is because of Pinterest. Let me explain. Pinterest wants to see fresh and new content from your profile. If you use free stock photos then your pins are going to look similar to other people’s pins, which Pinterest looks down upon. You want to have your own styled stock photos or at least ones that aren’t used as much, to make your pins stand out from others. 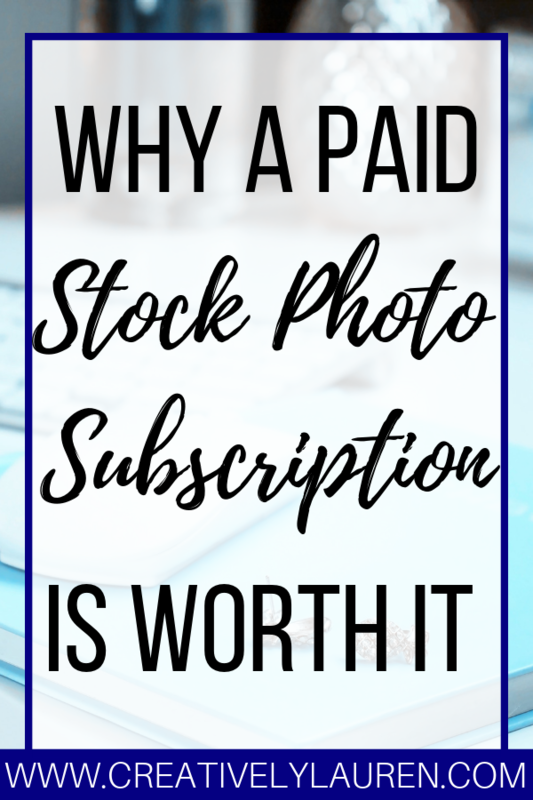 A paid subscription helps with that because not everyone will spend the money for pictures. What stock photo memberships are out there? There are a couple of stock photo subscriptions that people like to use. I definitely suggest doing your research and seeing which stock photo membership would be good for you. I would take into consideration price, photos offered, how often the library is updated, and the style of the photos. Two of the most popular stock photo memberships are Ivory Mix and Haute Stock. Haute Stock (formerly Haute Chocolate) is a styled stock photo membership billed at $299/yr and Ivory Mix has their VIP Membership billed at $120/yr. Haute Stock adds images every week while Ivory Mix adds new photo collections twice a month. Both allow unlimited downloads, instant access upon sign up, and single image search. It really just depends on which company fits your needs and aesthetic and the price you are willing to spend. 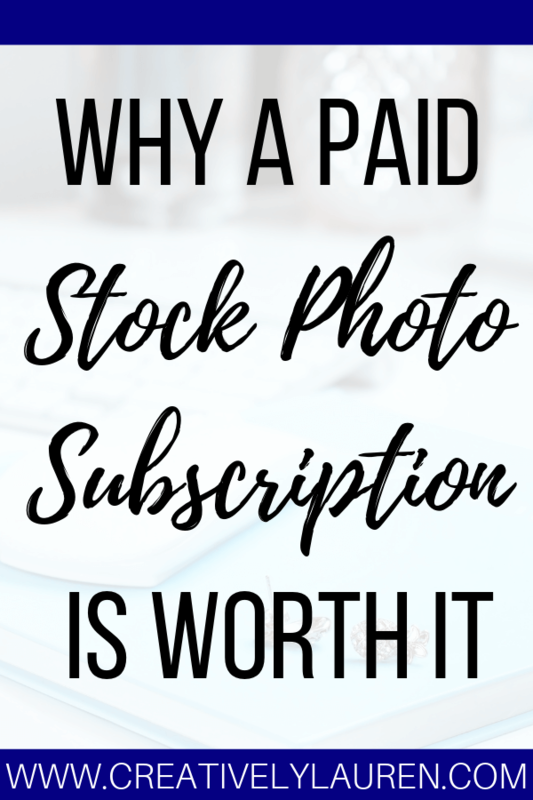 There is one major difference in the two, besides price: If you go with Haute Stock, you cannot use their photos for client work (unless they are also members), or sell social media graphics using their images (even if you add text, blocks of color, etc). With Ivory Mix, you can. I highly recommend reading both companies licenses for use before making your final decision. Here’s the Haute Stock License and the Ivory Mix License. So, take that into consideration, if you’re not planning on using the photos for anything besides graphics on your site, then you’re good! I honestly recommend Ivory Mix! Ivory Mix has such a diverse selection of photos, that their subscription is perfect for any blogger! I purchased the VIP membership from Ivory Mix and it was the best thing I have done with my blog. I purchased their VIP membership plan which is an annual plan. They also have a quarterly plan, their elite membership tier, but you don’t get everything that you do in the VIP tier. The only thing is, the VIP membership opens about once a month, so you can’t just sign up whenever you want like you can with the elite tier. Keep your eye on their social media, or mine, so you know when the next available window is to sign up for the VIP tier! 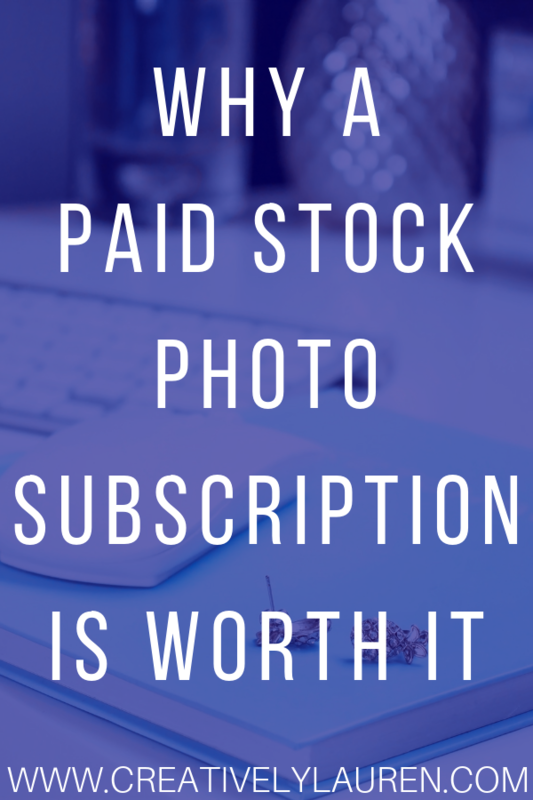 Are you signed up to a stock photo subscription? If so, who did you go with and why? Let me know in the comments!